This tall garden trough is large enough to hold mature shrubs and climbers to provide instant screening. 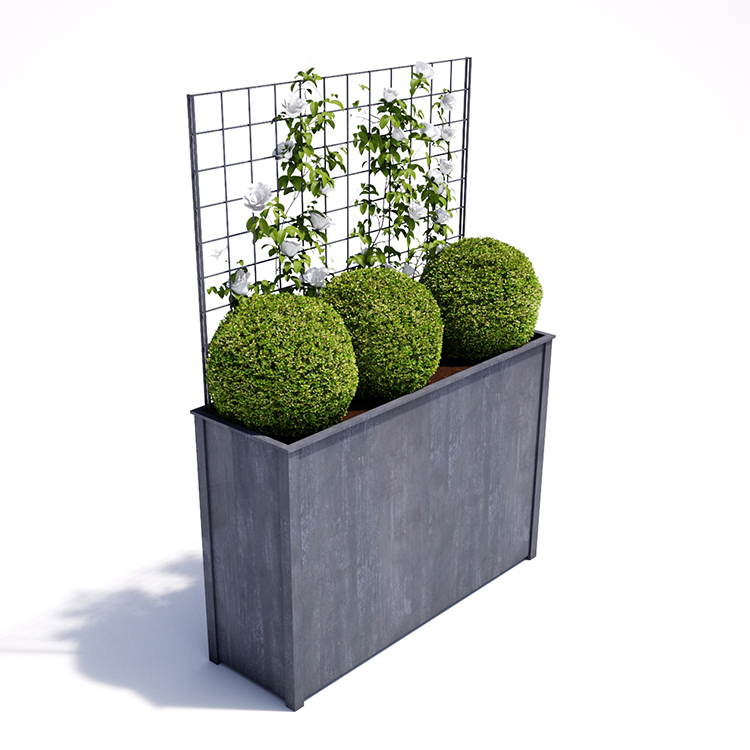 Use as a series in line or around a patio area to create privacy and colour to a paved area. 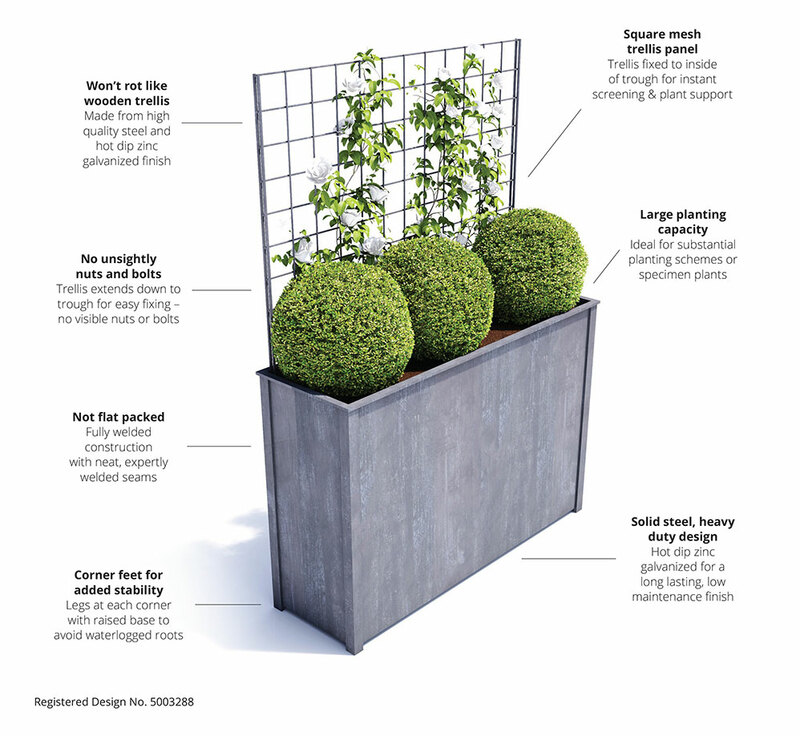 This heavy duty planter and integral trellis panel are zinc galvanized solid steel and will provide a rust resistant finish for years. Bespoke sizes to order.